Amherst, NY (November 6, 2018) – Tuesday evening, November 6, a pedestrian was reported to have been struck by a vehicle in the parking lot of a plaza located at 3500 Main Street. The 26-year-old female victim was hit by the vehicle at an unspecified time, according to authorities. Amherst Police stated that a 47-year-old man from Tonawanda was operating a vehicle in the parking lot of the local plaza when he struck the pedestrian for reasons that have not been confirmed. Police along with emergency responders were immediately on the scene in order to assess the damage and assist the victim. The injured woman was quickly transported to Erie County Medical Center to be treated for chest injuries. The identification of the woman is being withheld until authorities can notify her loved ones. There have been no charges filed against the driver involved in the accident at this time. Police are currently investigating the events that led to this collision. We wish to, first and foremost, extend our sincerest sympathies to the victim of this terrifying accident. 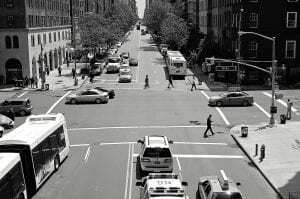 We understand that pedestrian accidents in New York are frequently injurious or even fatal due to the vulnerability of the victim. At Hach & Rose, we understand the emotional and financial stress that arises after a serious accident, and that it can be absolutely overwhelming. We have made it our passionate duty to help those who have been hurt by the negligent actions of another party. At this time, it is important to realize that you may have very significant rights following your unprovoked injury. If you have suffered injuries in a New York pedestrian accident or any other kind of crash by no fault of your own, please don’t hesitate to call 212-779-0057 today.